Voters who go to the polls today carry with them their hopes and fears for the future. This election, perhaps more than any that has come before it, offers stark evidence of all that is right with American democracy — both its power and potential — as well as what has gone terribly wrong. Three new books — primers on how to become a citizen activist — are for anyone who cares about living in a democracy that works. 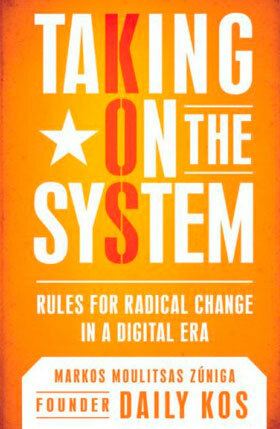 “Effective activism requires that those who have the heart and passion for it step out of their comfort zone and into the fire,” writes Markos Moulitsas Zúniga in Taking On the System, which includes a step-by-step to-do list, as well as philosophical encouragement. The book celebrates “change agents,” as Moulitsas calls them, who are fighting for that most basic democratic principle: the right to speak out in a system that, too often, controls the message. Moulitsas, founder of the influential political blog Daily Kos, heralds Carol Shea-Porter of New Hampshire, who decided to make a run for the U.S. House of Representatives in 2006 without financial resources or political experience. First she faced a primary no one thought she could win. Then she faced a general election against a strong incumbent. She won both races. Moulitsas’s book is a call to join the fray, and it is peppered with examples of people who are managing, against the odds, to be heard. Grass-roots networking is helping long-shot candidates like Shea-Porter get elected. Bloggers are drawing national attention to issues that otherwise might be overlooked, such as the violent racism that erupted in 2006 in the town of Jena, La. And in countries where democracy is literally a life-and-death issue, the Internet offers activists an alternative to official propaganda machines. In 2004 in the Ukraine, for example, cyber-movements helped to expose government wrongdoing and electoral fraud — and bring about regime change. 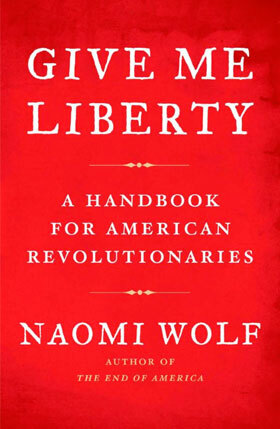 Citizens of a true democracy, argues Naomi Wolf in Give Me Liberty, think of themselves not as lucky recipients of the gift of liberty, but as its stewards, crafters and defenders. “Liberty is not a set of laws or a system of government,” she writes. “It is not a nation or a species of patriotism. Liberty is a state of mind before it is anything else.” The problem right now — and the situation is dire, she warns — is that most Americans are dozing while their liberties have quietly eroded. 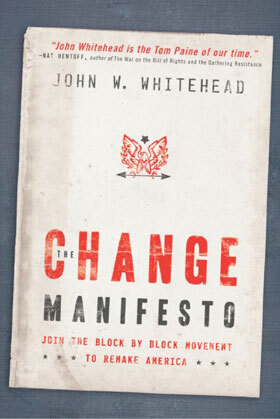 Whitehead speaks from his experience as a constitutional lawyer and founder of the Rutherford Institute in Charlottesville, which fields thousands of requests each year for legal assistance. (The organization has been characterized by some as a civil liberties union for people of faith.) And while the book is filled with grievances, many worthy of concern, I couldn’t help thinking, as I turned its pages, about the “change agents” Moulitsas celebrates in his book. Shea-Porter, for example, stands in stark contrast to the politicians Whitehead skewers: “Today’s politicians, many of whom are far removed from those they represent, are chauffeured around in limousines, fly in private jets, and eat gourmet meals, all paid for by the American taxpayer.” Politicians who fit this description deserve pointed criticism — and voter rejection. But it’s good to know the change agents are out there, too, hard at work. Here’s hoping each of these books will spark a few more to join the revolution.